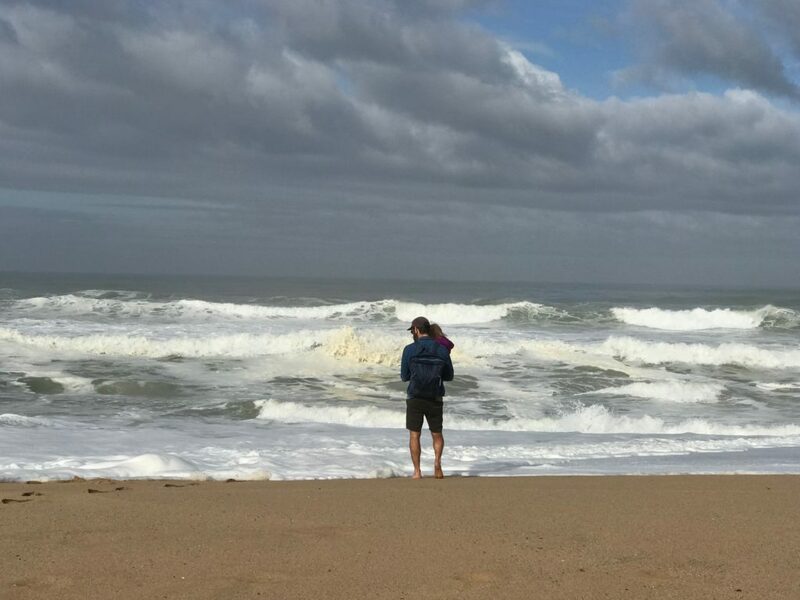 I’ve just returned from 11 days in Portugal, travelling with my older son and family. 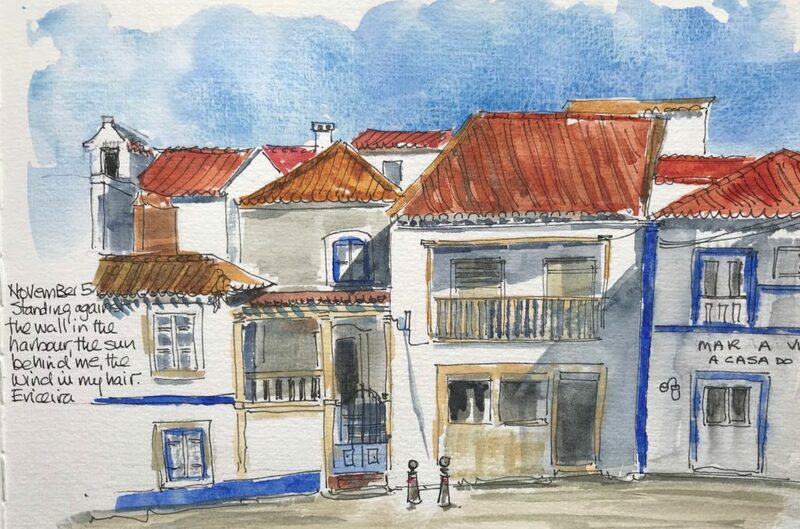 We spent a week in Ericeira Portugal, a small village about 45 minutes up the coast from Lisbon. And before I knew it, I had fallen in love with the place–the landscape, the food, and the warm, helpful people. 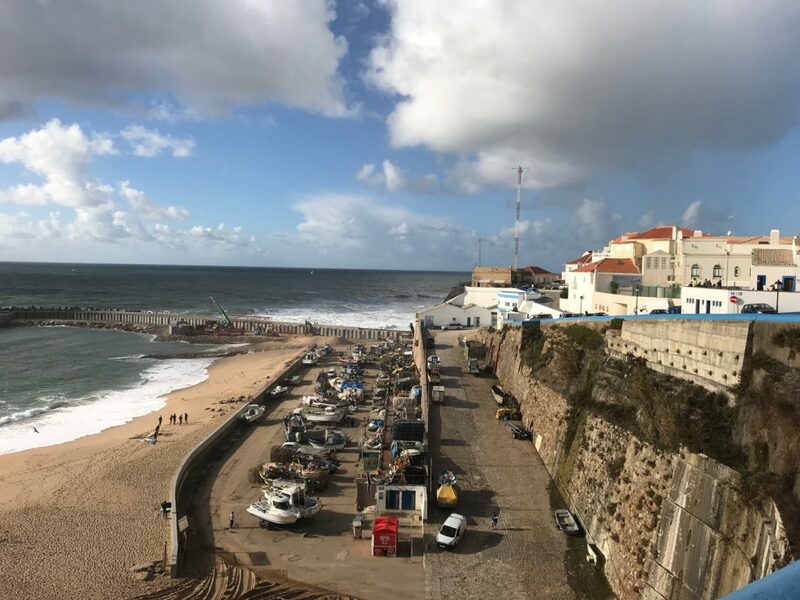 Ericeira is an active fishing village with all that entails–the boats and nets, the protected harbour with the gnarly old men playing chess, the freshly-caught fish. But it is also a surfing spot with wonderful low-profile facilities for surfers from around the world. The coastline has been designated a World Surf Reserve–such a wise move on Portugal’s part. 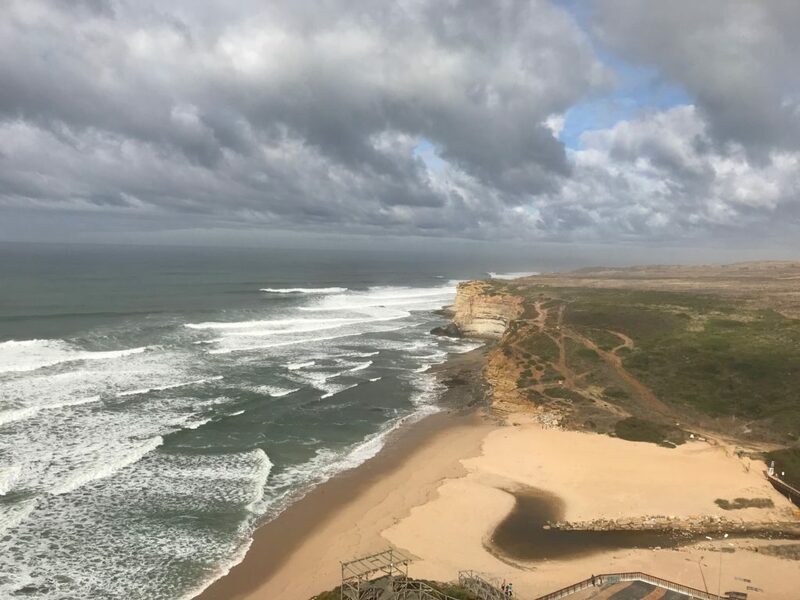 We stayed right in town and enjoyed what it had to offer–outstanding seafood, an excellent grocery store, surf shops, cafes, magnificent beaches. I had lots of time to sketch and our airbnb had two (!) balconies from which to view the many red-roofed buildings and the ocean! 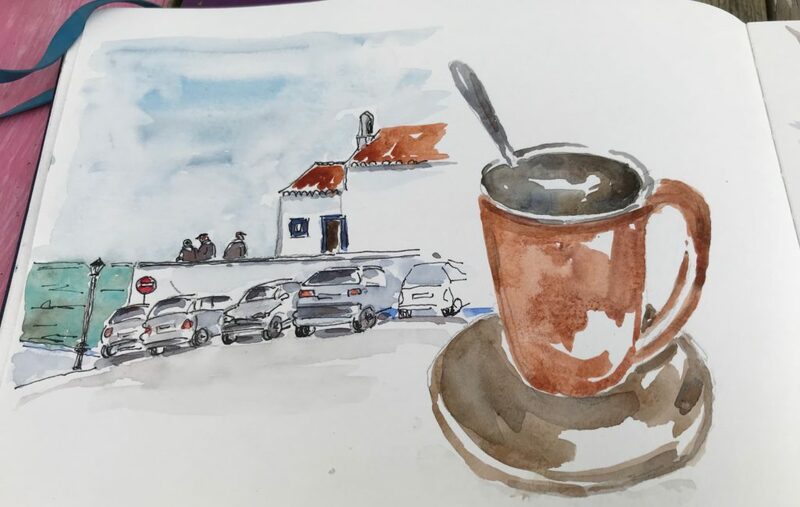 My favourite cafe was right by the sea wall and it served a delicious Galao in a very sketchable mug–the colour of the tiled rooves, of course. 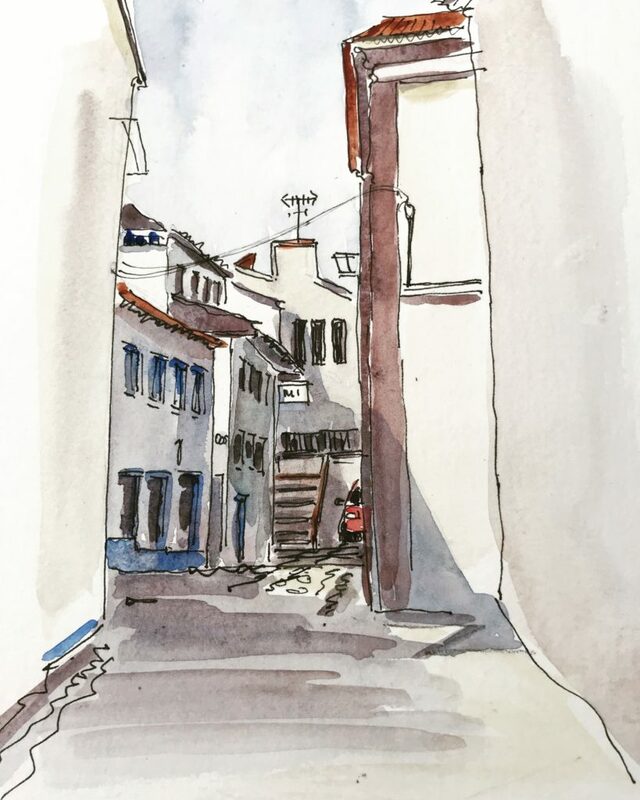 There were lots of narrow streets with great shadows and geometric shapes. Many, many of the buildings in town were painted with blue stripes on the corners and bases. It was a hard blue to capture. 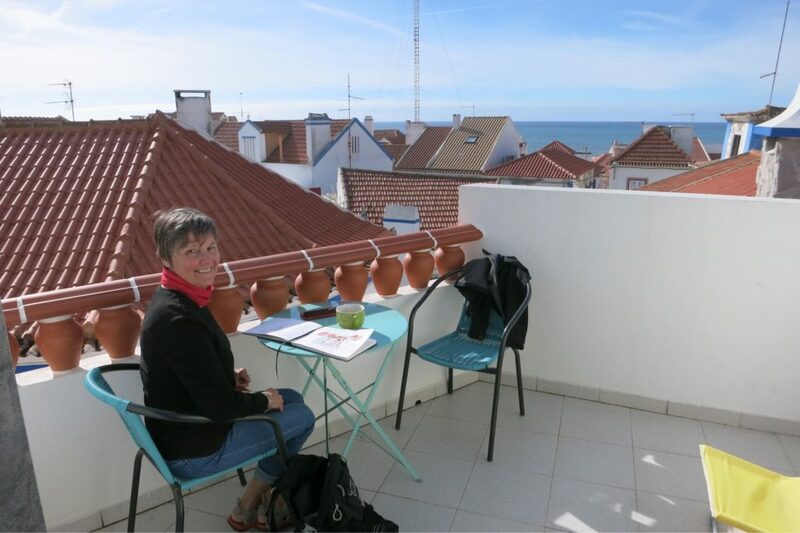 Here I am sketching on the top balcony with the Atlantic peaking through. How perfect. 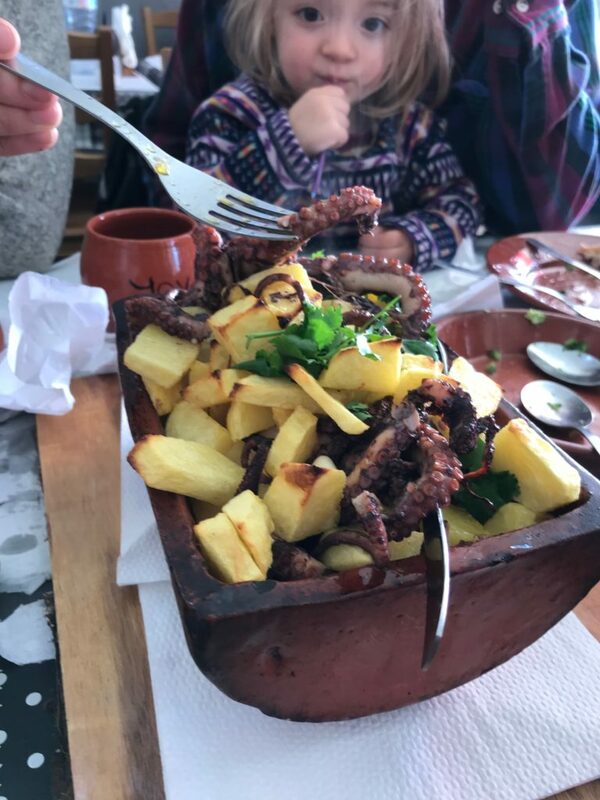 And below our first meal in Ericeira, octopus. Fabulous! Sounds like a great trip. The photos are excellent and I love the drawings. Very evocative with a sense of place. The octopus looked like a real plateful. Welcome back! Keep on drawing ✍️.